When it comes to food-related fun holidays, there are lots to choose from, but “Popcorn Day” has got to be one of my favourites. Just grab yourself some Corn kernels, add heat, and voila – you have yourself a delicious, tasty snack, better known as popcorn. Popcorn originates from the Americas, Mexico to be precise, as far back as 3600 BC. And there is evidence all over central and South America of its use as a food and as a decoration. The very first commercial popcorn maker was introduced to the streets of Chicago in 1885, where street vendors would sell it to people as they came out of movie theatres. And so the film and popcorn partnership was created, and still stands stronger than ever 130 years on. Popcorn is a very popular snack in America, the UK, and across the rest of the globe. According to an article I read in the Guardian, the UK spends over £152 million per year on popcorn; making us the second biggest popcorn eaters in the world. Popcorn is still often made at home (Just look at the vast amount of popcorn makers that are sold each year), but even more so, it’s bought ready-made in shops all around the world. 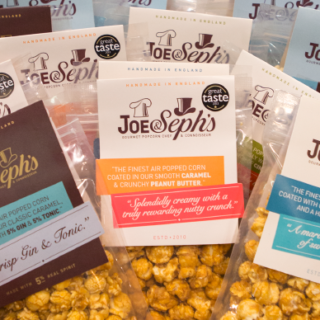 Joe & Seph’s are a family business on a mission to produce the best-tasting popcorn in the world. 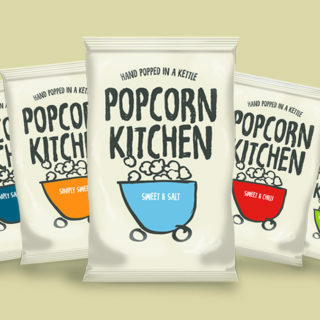 All of their popcorn is hand-made in London using all natural ingredients, in a range of over 50 flavours. Popcorn Planet is a popcorn manufacturer and wholesaler established in 1996. Operating from their popcorn factory in North West London, they specialise in making high-quality premium popcorn for the UK market. 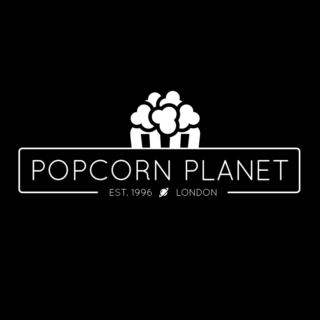 With a focus on quality and innovation, Popcorn Planet has established itself as a leading popcorn company, trusted by some of the UK’s finest companies to deliver premium popcorn products to meet their bespoke requirements. The feedback Popcorn Kitchen got about their deliciously morish popcorn was so positive, it inspired them to start selling their bags of popcorn further afield. Using the best natural ingredients, they lovingly pop small batches of corn and are on a mission to create the UK’s favourite hand-popped popcorn. 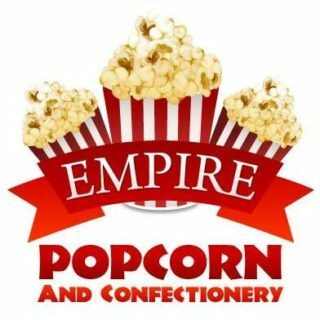 Empire Popcorn has been in the same hands for well over a decade. They are family focused business based in Cheshire in the North West of England. 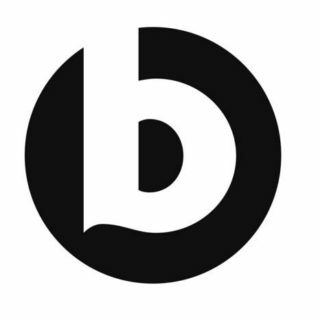 They traditionally supply Shops, Leisure Parks, Cinemas, Theatres, Bowling Alleys, Arts Centres, Football Stadiums, Corporate Events, and Contract Caterers. 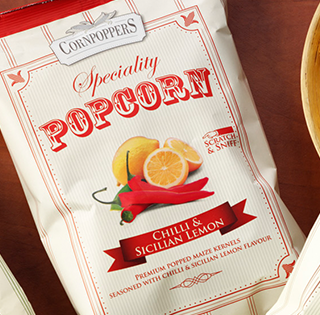 Cornpoppers are one of the UK’s largest popcorn producers and suppliers to retailers with a variety of flavours and styles of popcorn developed in their own manufacturing site. 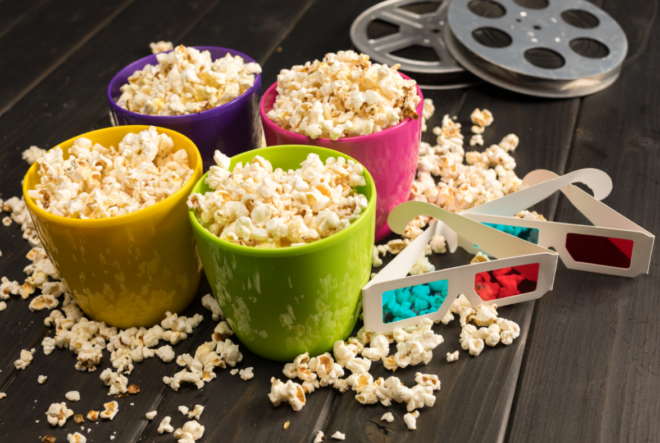 Popcorn Day is celebrated on 19th January each year, and the best way to join in the fun is to grab yourself a bag of your favourite flavoured popcorn (personally I like a mixture of sweet and salt) and spend the evening chilling out at home with your favourite movie. Alternatively, you could head out to the cinema and see what cool new films are out. There are various national cinema chains to choose from (Odeon, Showcase, Cineworld, Vue ) and also some fantastic independent cinemas. 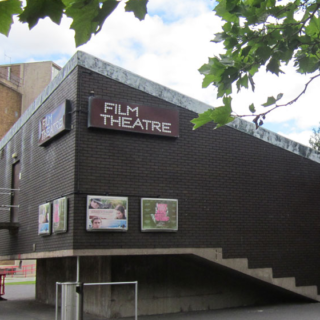 Stoke Film Theatre is a local cinema showing arthouse and mainstream movies with some free screenings and a licensed bar. 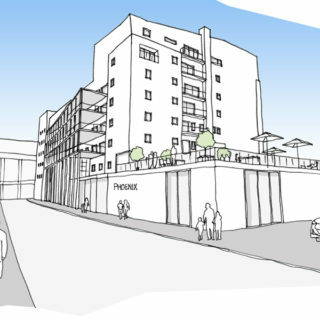 The Phoenix is an independent art house cinema based in the city centre of Leicester, showing indie, family-friendly and retro films, plus exhibitions, food and drink. Broadway Cinema is an independent cinema located in the Hockley area of Nottingham. In 2009, the cinema was rated as one of the ‘best in the world’ by Total Film magazine.